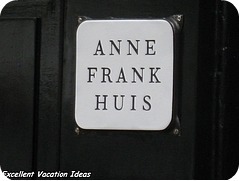 Anne Frank House is one of the most moving experiences and an Amsterdam museum not to be missed. 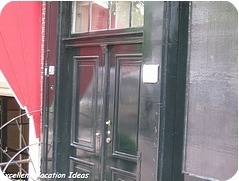 Visit the location where Anne Frank and her family were hidden during World War II. You can see where they lived for 2 years, hidden by the Van Pels family and Mr. Frit Pfeffer. 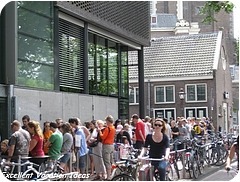 The museum is one of the most popular attractions in Amsterdam and the hiding place is in its original condition. The original Anne Frank's famous diary is also on display here. When you arrive you will go to one of two lines, prepurchased tickets and purchase tickets. Make sure you already have your tickets. The line up is continually moving. You will get to see everything, but since the area is small and compact you won't be able to stop for any length of time. You won't need more than one hour to visit the museum, not including time to wait in line. The museum is opne from 9:00 to 9:00 pm in the summer and from 9:00 am to 7:00 pm in the winter. During the summer it is open until 10 pm on the weekend. You won't be allowed to take photos or video of any kind, and large bags and strollers have to be checked. You also can't use your mobile phone. 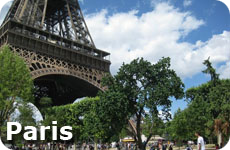 You will have access to the onsite gift shop and their is a cafe for a simple lunch. If you are taking your kids, make sure they are mature enough to understand what they are seeing. Explain to them the history and what happened here. Depending on your kids, they should probably be over 10 years old to appreciate the museum. Anne Frank's House is located in Jordaan and is one of the most moving experiences I have ever had. Every time I go near the Anne Frank House I get moved (usually to tears). 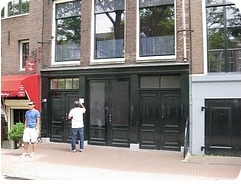 We visited it on our first visit to Amsterdam and just walked past it on our most recent trip. It is an incredible reminder of what hatred and fear do to people and how brave this family was during this time. Get there at opening (9 am) or late (after 6 pm) to avoid the lines. Better yet buy your tickets online and use the "prepurchased tickets" entrance to shorten your wait during busy times. You must choose a date and time to go and ensure that you go during that time or you will lose your tickets. In our opinion the best way to see the Anne Frank House is by taking a tour combined with your tickets to see the museum like the Canal Cruise and Anne Frank's House Tour. Plan your day to get there early and then have lunch at the Pancake Bakery which is right down the street on the Prinsengracht canal . It's yummy! After your visit here, take in some shopping in the area, or hop on the canal cruise to visit some more Museums.